The Spanish named the islands in the 1500’s after capturing and putting to work the native chief and his pearl divers – apparently the 31 carat pearl belonging to Queen Mary Tudor came from these islands. 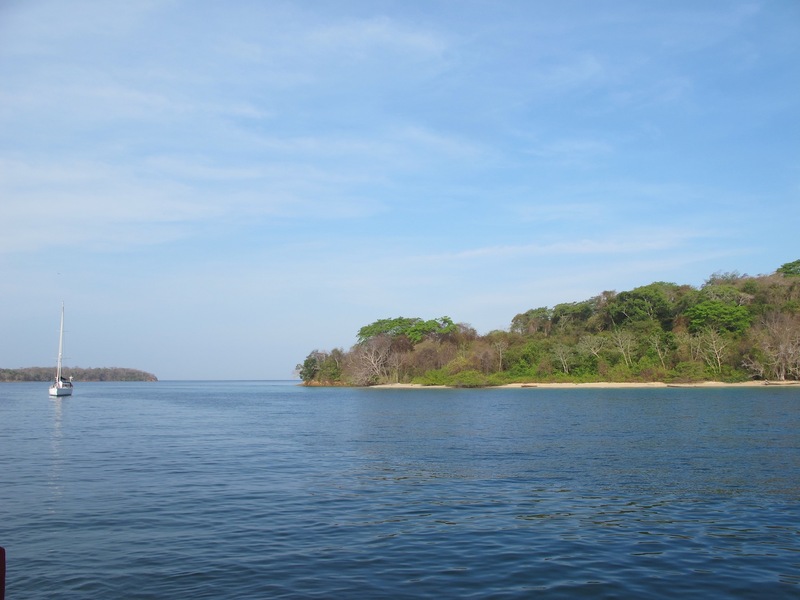 Nowadays I’m not sure there are too many pearls left, but it’s a popular day trip destination for Panamanians, many of whom come for the sport fishing. Maybe we just struck them when the weather conditions weren’t favourable – we left Panama on a grey hazy windless day when the cloud cover was like a hot wet blanket suffocating us. 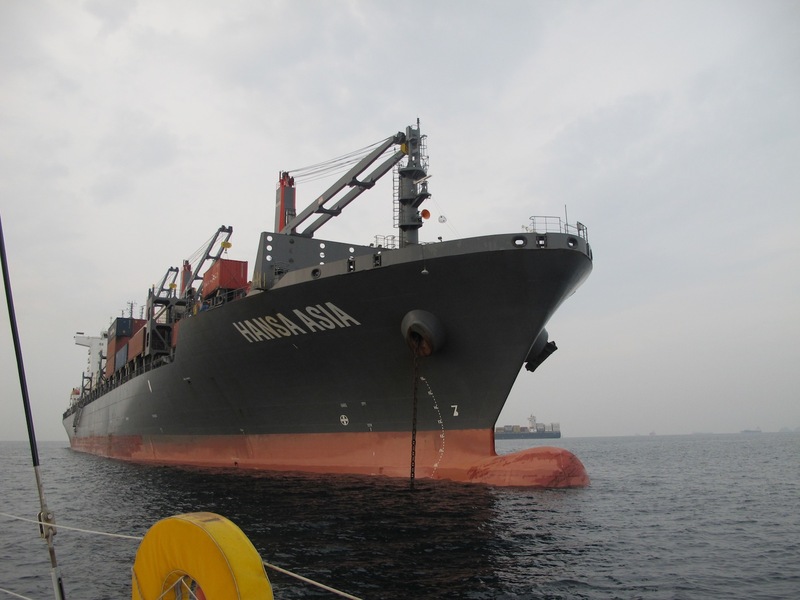 We dodged and weaved our way through the steel behemoths lying at anchor waiting for their canal transits, and then motored the 40NM to the islands. 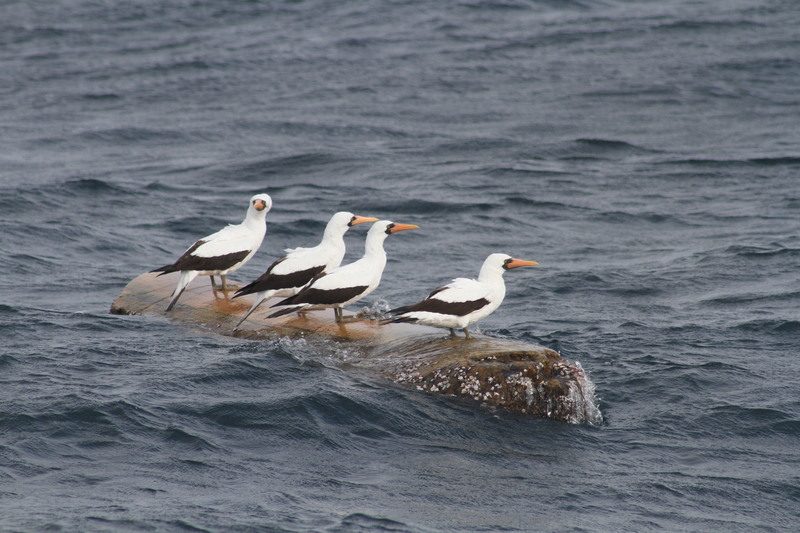 The monotony was broken by the sight of a pod of pilot whales, and the numerous birds perched on logs and bits of flotsam, obviously keen to keep their feet dry (or maybe they didn’t want to be snapped up by sharks?). 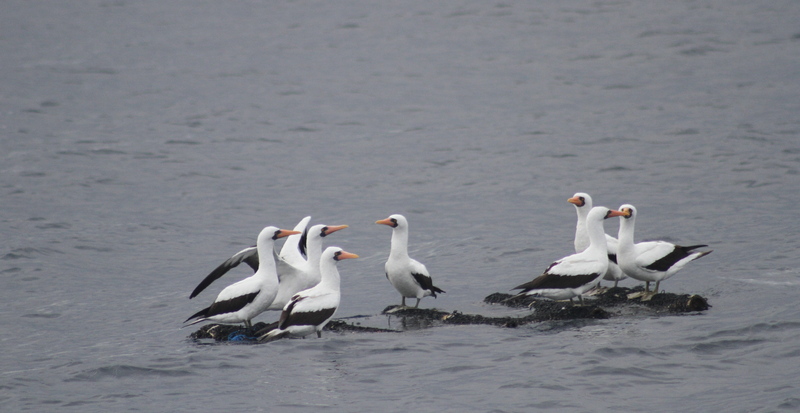 The northernmost islands are supposed to be where the best dive and fishing sites are, but the anchorages looked and smelt very unappealing, with thousands of seabirds (and their guano) filling the place up. So we motored on to the channel between Isla Chapera and Mogo Mogo, apparently the site of one of the “Survivor” TV series. It was a quite a pretty anchorage, but the water was murky and not very enticing. We also had to be mindful of the tidal range here, which is almost 5 metres. One of the boats that had gone ahead of us got caught out near here and ended up bottoming out on the rocks at low tide! 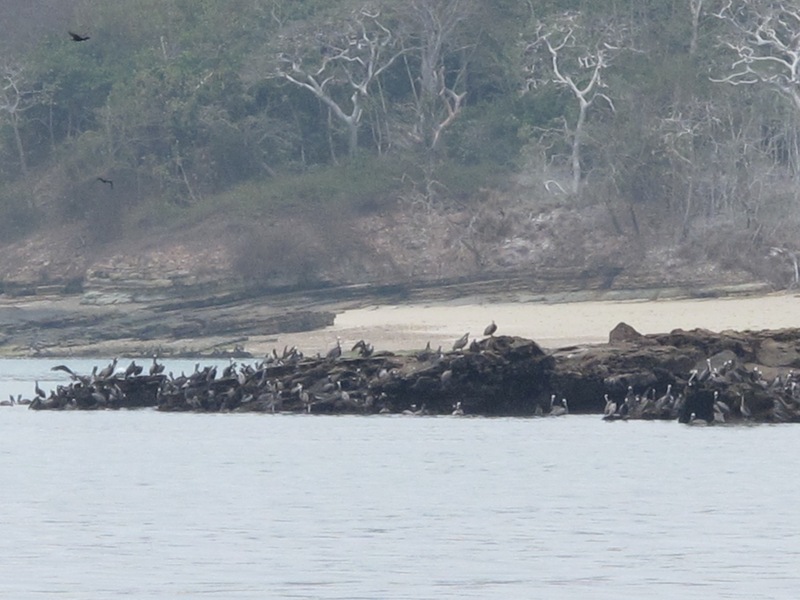 There was no obvious diving to be had in this location, so we upped anchor the next morning and motored to the southernmost part of the chain, Isla San Jose. 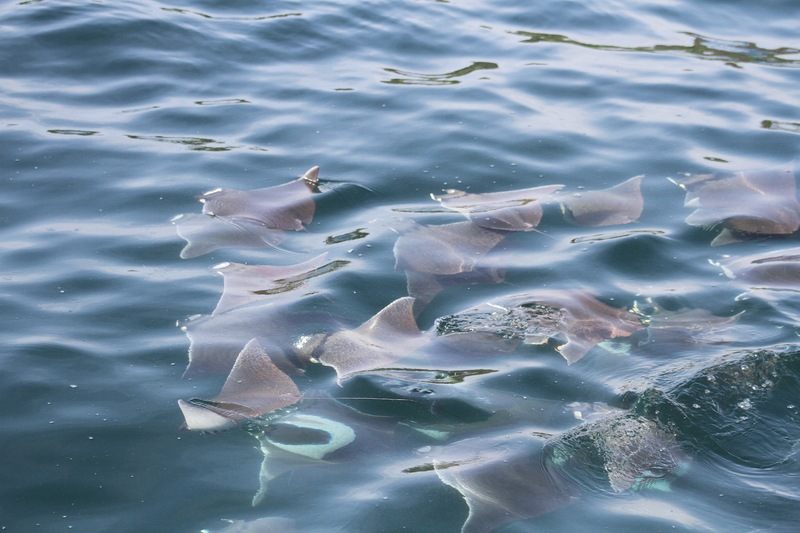 There was certainly abundant sea life around – we saw huge fish and rays leaping out of the water all around the boat. 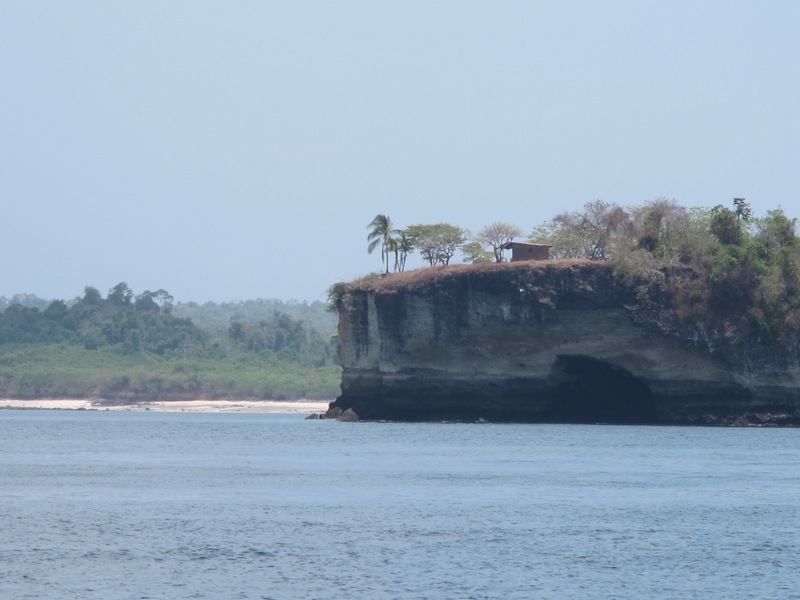 Isla San Jose is a huge island, and privately owned. 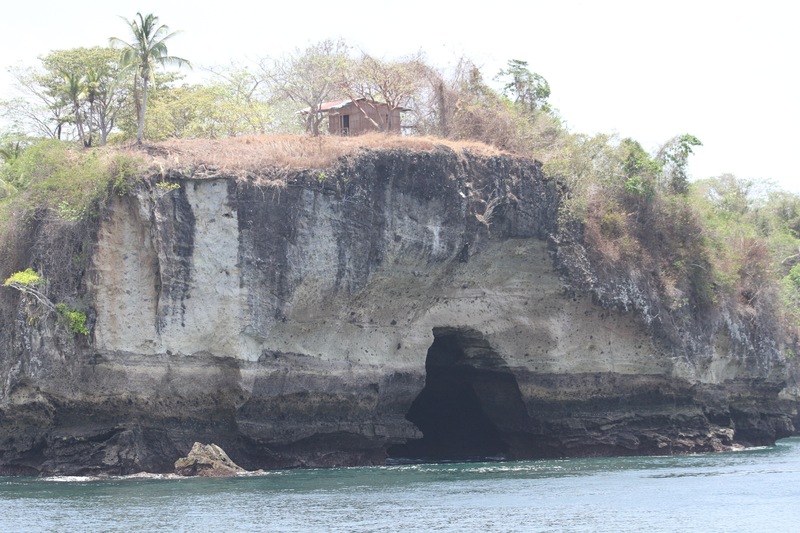 Apparently the owner built this little fishing shack over the cave below so he could lower his line straight down into the water! 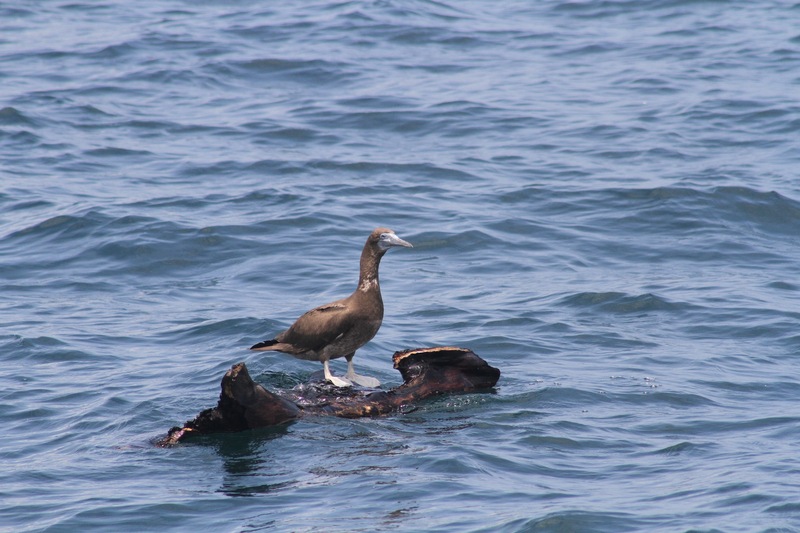 We anchored in the large bay at Ensenada Playa Grande, but there wasn’t much protection from the swell. 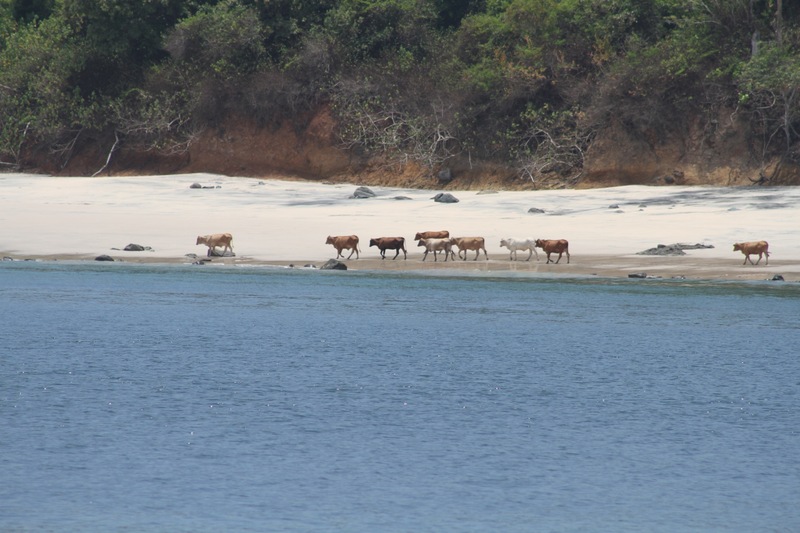 We were the only boat there, and it was definitely surreal to see a herd of cows meandering along the beach in the afternoon! One of the (many) entry requirements for the Galapagos is to have a clean hull with absolutely no barnacle growth. Although we’d given the hull a good clean in the San Blas Islands, it was looking decidedly green and weedy after a couple of weeks in Panama, so we all hopped in the murky water and spent the best part of two hours scrubbing and cleaning the hulls as best we could. Again, the water wasn’t pleasant, with lots of small jellyfish and tiny crabs making temporary homes in our hair and cossies. Yuk! 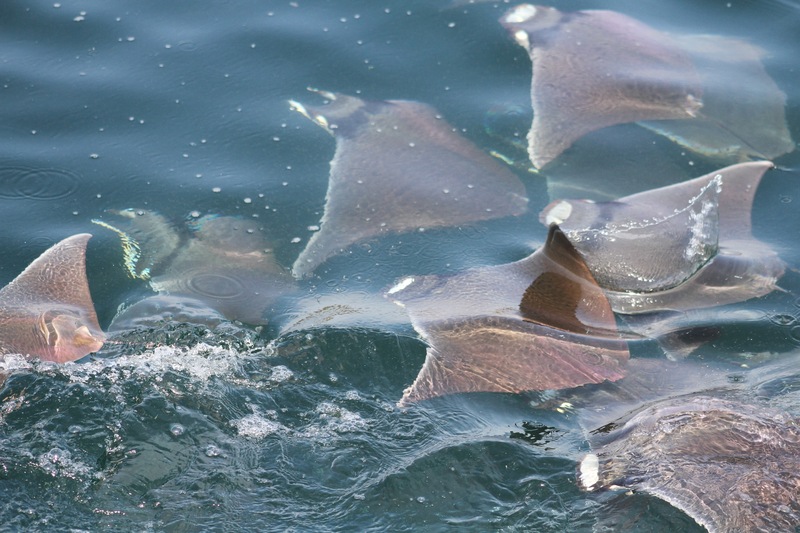 After we got out, we were treated to a swim-past of hundreds of small rays, gliding and weaving this way and that around the boat, which was pretty special. By this time it was late afternoon and no-one was particularly keen to spend a night in this deserted and rolly anchorage. So we decided to cut our losses with Las Perlas and head off to the Galapagos, 1000NM away and the first big bite out of the Pacific Ocean. The adventure continues…..!